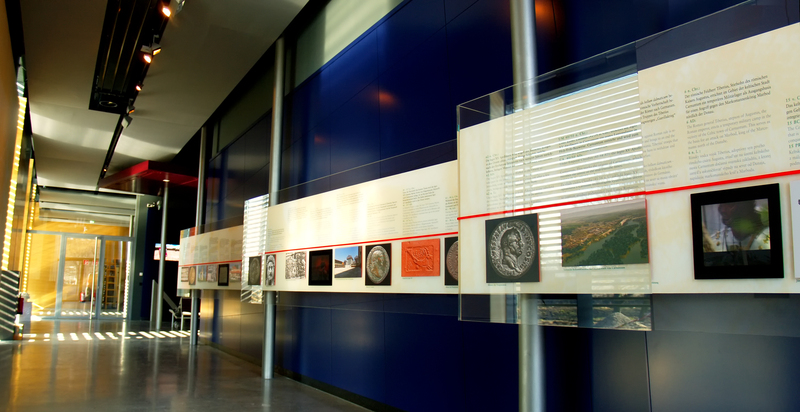 Our team has been involved in the reconstruction of Carnuntum since 2005. 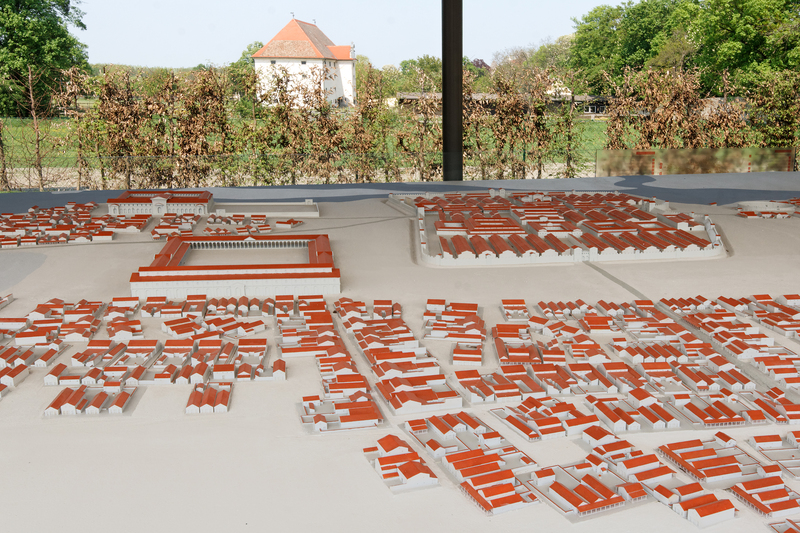 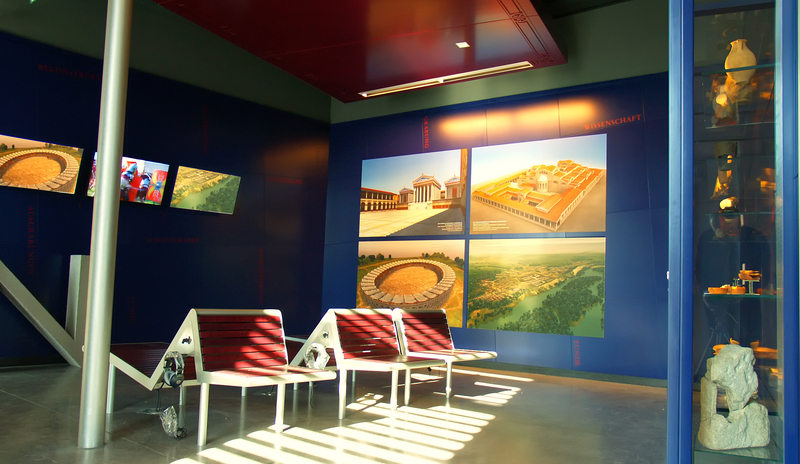 Initial results were published in 2006; in 2011, the State of Lower Austria Exhibition was a further milestone with a record number of 600,000 visitors.The results of the reconstruction were presented using digitial media, but also in a physical model at a scale of 1:300 measuring 24 m x 12m. 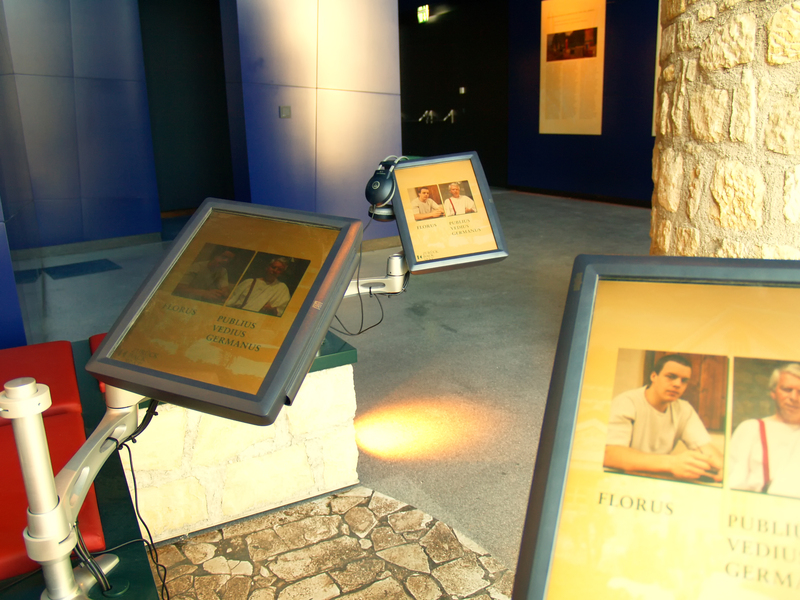 The film and interactive application are available as a DVD from MediaHistoria.com (German).